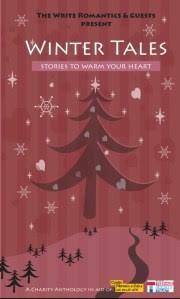 Last year I was delighted to contribute to Winter Tales, a short story collection in aid of two great charities. My story is called ‘The Art of Giving’ and it features Iris Harper (a character from The Language of Spells) in her youth. I’m giving away a paperback edition of the book to a member of my mailing list – the first of many subscriber-only perks! To be in with a chance, just sign up for my newsletter here and I shall pick a name on Sunday.